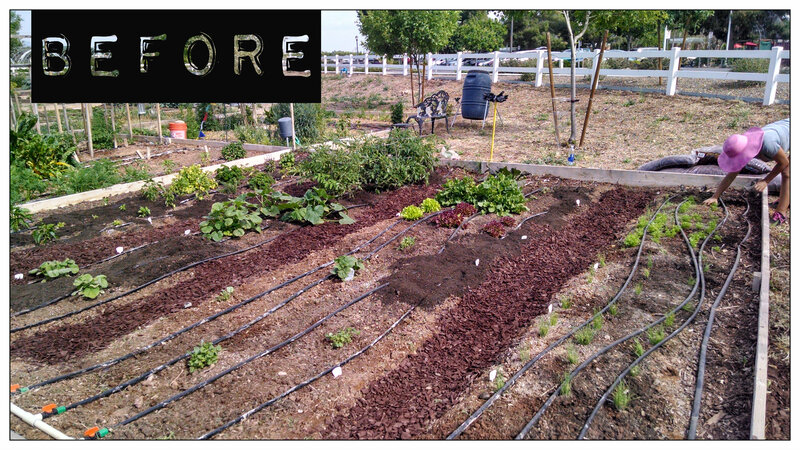 In our own defense, we weren’t sure what would come out of the ground other than weeds. 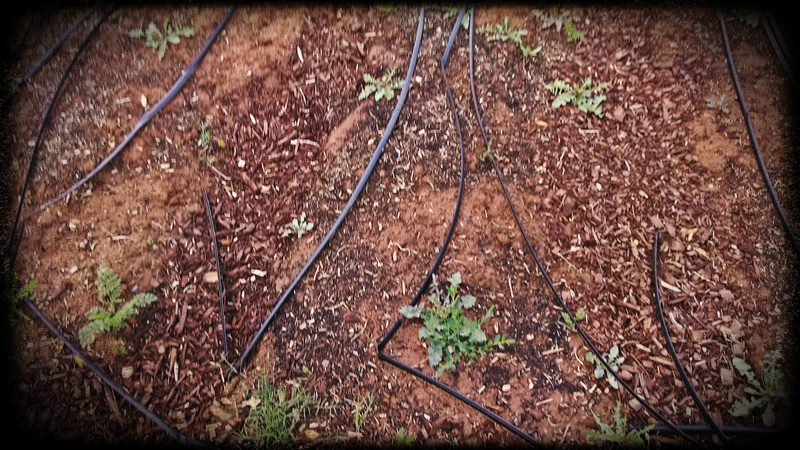 Either the soil we tilled in December is super-fantastic, drip systems are one of the best inventions for desert gardens or the seeds we got were actually Jack’s magic seeds. Yes, it must be the latter, because that’s the only thing that makes sense. 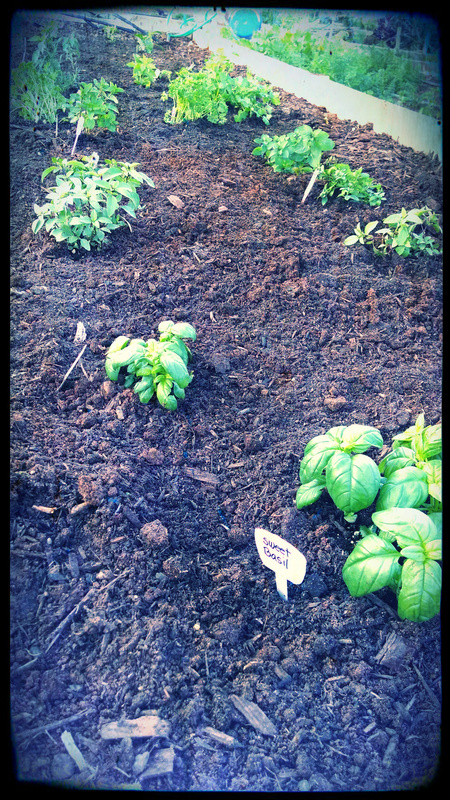 We’ve got herbs like oregano, chives, rosemary, parsley, and basil. Yeah, we’ve got basil for days. The cilantro called it quits early on. Perhaps not enough humidty or the basil squeezed him out like an herb mobster. We’ve got peppers. Oh, holy moly, Peter couldn’t pick enough of our peppers. Serrano peppers. Habanero peppers. 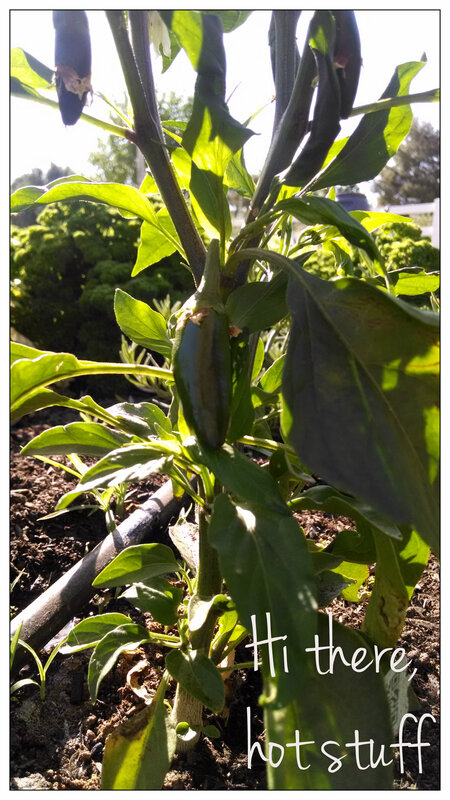 Jalapeno peppers. Sweet baby bell peppers. Bell peppers. Poblano peppers. And that is only the first row. In the second row we have tomatoes that have collapsed their wire supports under the weight of their tangled branches. While the other gardeners have put burlap sacks to protect their tomatoes from getting smoked, our heirlooms, beefsteak, romas and, yes even, Heinz tomatoes rely on their own mass to protect the tomatoes that have nestled inside that tangle. Next to the tomatoes was our first productive crop and she is showing no signs of stopping. 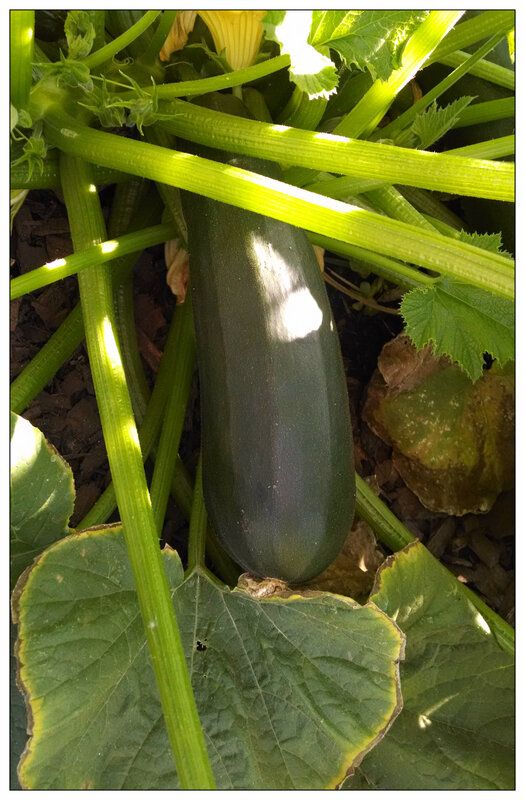 The zucchinis are our Bubba Gump crop. We’ve made zucchini bread, zucchini cakes, zucchini green Thai curry, zucchini in ratatouille and zucchini in stirfrys. But what’s this? What’s this creeping vine plant that was dormant for so many months and is now consuming the garden like a virus? Oh, hey there butternut squash. Normally a winter crop, however we decided to dump the contents of the seed package and see if perhaps we’d get a butternut squash or two. Should you pull back a solitary leaf, and I have, you would see one or two butternut squash underneath. 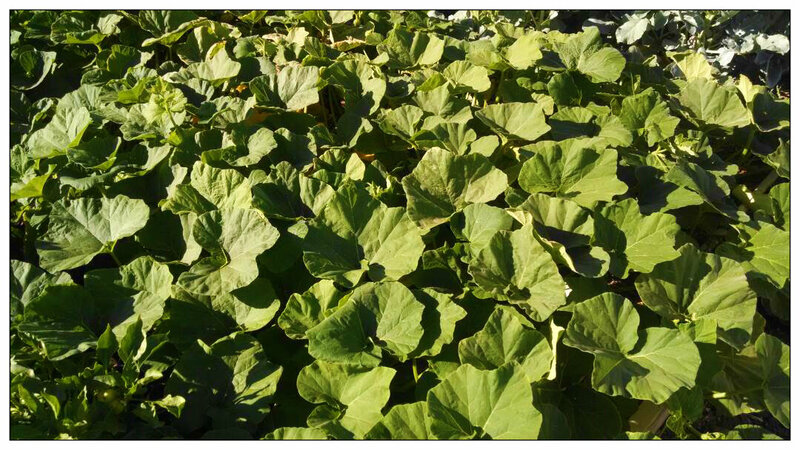 We likely have 30 butternut squashes that are just biding their time. In the third row we continued with lettuces and other cole crops like Brussels sprouts (oh, I’m so ready for these to be ready!) and broccoli. The lettuces are interesting plants. 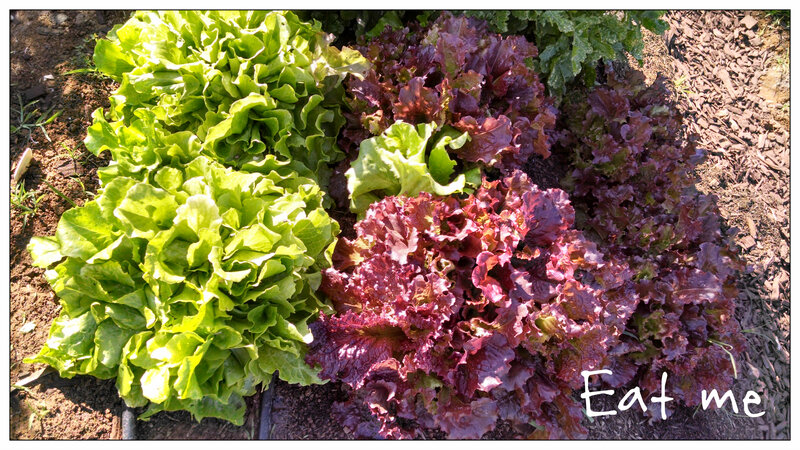 Harvest them with the intention of eating them that week and they wilt within the hour. It makes me a little distrustful of the lettuce you get at the super market and can stay crisp in my fridge for nearly two weeks. I mean, just look at this lettuce. So fresh. In the fourth and final row, we have carrots and onions that suffered the same fate as the butternut squash: make a hole and empty the entire packet in. 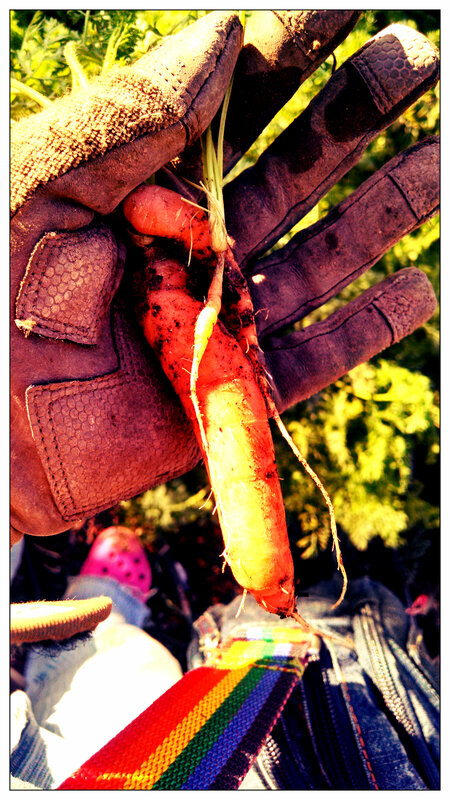 Some carrots are finding their way to the nutrients in the soil but at the expense of other carrots. It’s a tough, competitive life for the daucus carota. 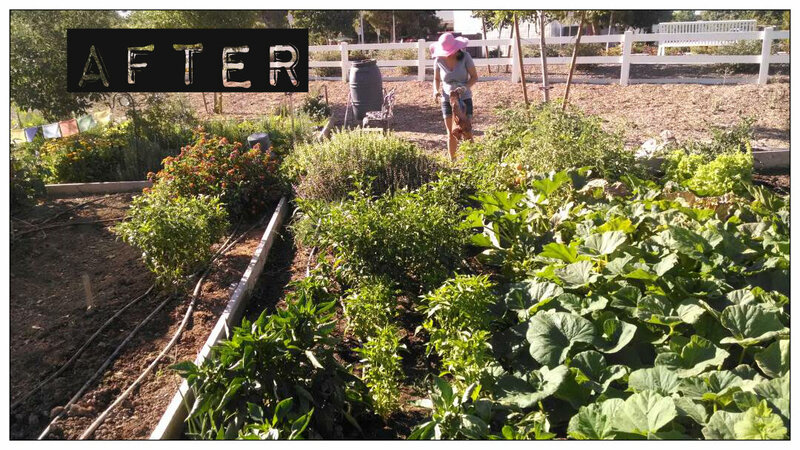 Within 400 square feet we have enough produce to feed not just ourselves but our entire neighborhood cul-de-sac. There must be some secret here to ending world hungry. 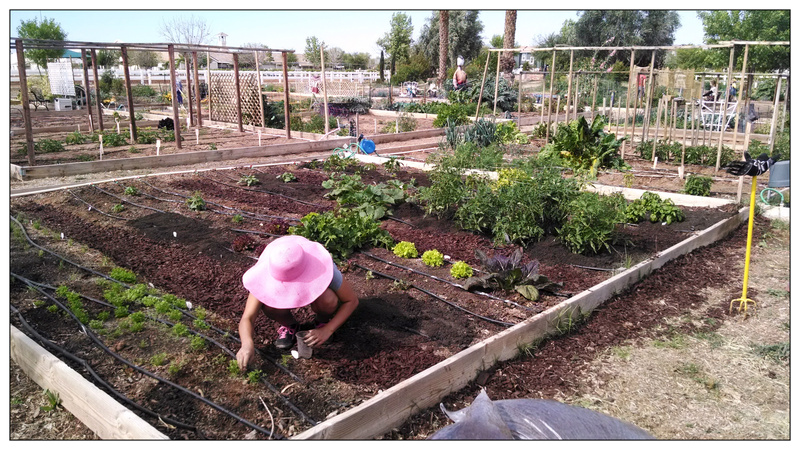 Plant a garden and share the wealth. And enjoy the produce that comes from the ground. They are so much more unique then what you can get in the store. The weekend is a beautiful, and at the same time, cruel invention. The end of the week. Two days of rest. Why must it be just two days? Two days that go flying by. I mustn’t complain too loudly as I did have a momentous time away from the work week. But I guess I’m selfish. I could sure use another day. Let’s start things off with a visit down to Phoenix to see my favorite angry comic, Lewis Black. It might be dark in the theater but we can still get gussied up. 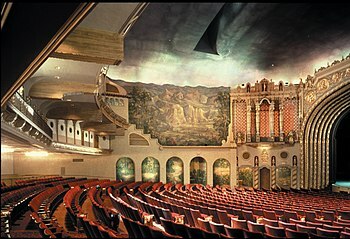 The Orpheum Theater is a little piece of Phoenix history, which is a bit refreshing as the Valley has been known to tear down buildings after a couple of decades. Built in 1929. the Orpheum is listed on the National Register of Historic Places. It is a link back to Vaudeville and was restored in 1997 for $14 million dollars. Some folks have bucket lists of things to do before dying or hitting a certain age. The hubbs and I have a comedian bucket list. Comics we would love to see. Comedians like Lewis Black. He was very much at the top of that list, and for good reason. The man does all the things I wish I could. He is aware of our political and societal failings and with a witty mind and sharp tongue, he articulates shouts and rants and it feels good. Cheeks-hurt-from-laughing feels good, if you get my meaning. Then there are his mannerisms. 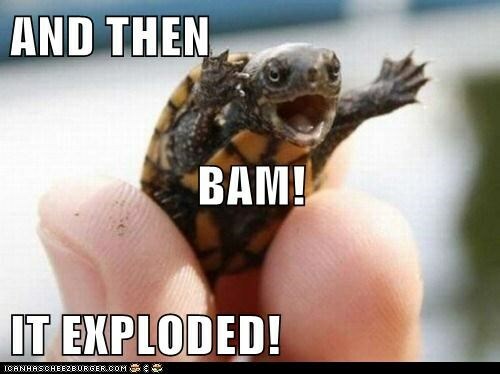 How he waves his hand in the air, flippantly. I don’t care, they same to say. Then he jabs his pointer fingers into the air so violently you subconsciously rub your collar bone. It’s good stuff. 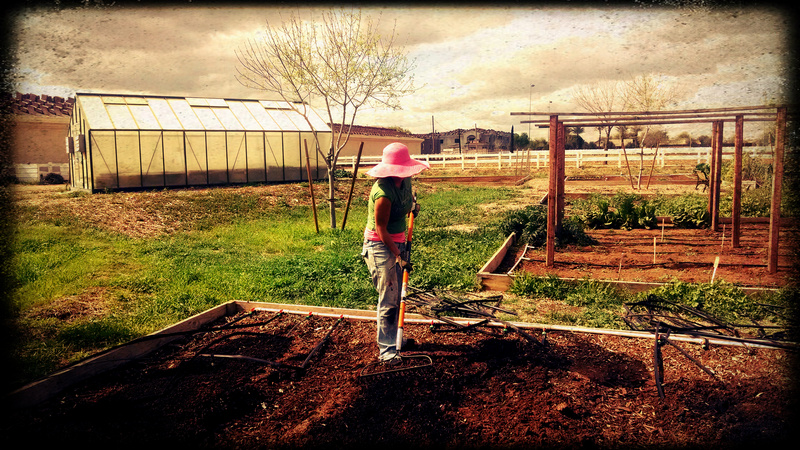 The juxtaposition of a visit to the city of Phoenix to see an angry comic and then tilling the earth for vegetables the next day was not lost to me. A return to nature after being reminded of humanity’s misgivings, even if it was in jest, seemed like the perfect counterbalance. That, and the weather was divine. We got hit with a little bit of that wet stuff. I think in past memories the word used was “rain.” Well, we got a lot of it this weekend. Some neighborhoods were flooded. Our neglected garden was muddy and that was A-OK. 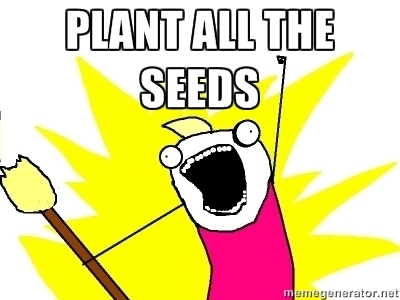 It made weeding substantially easier. And up until today we were only dirt and weed farmers. 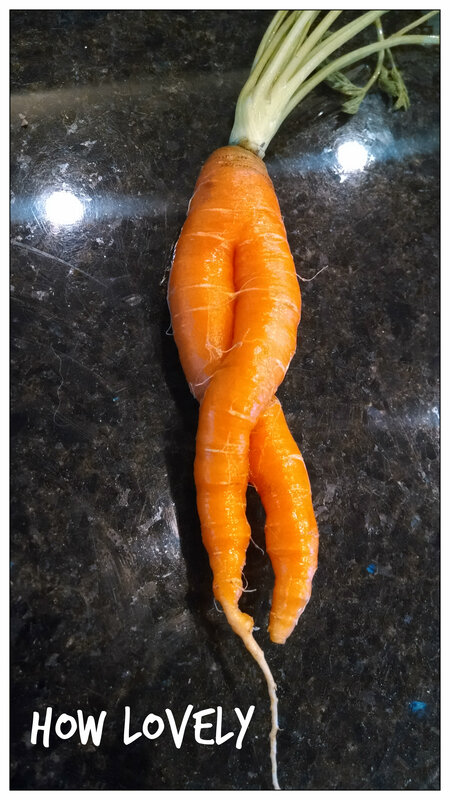 Oh, and the occasional carrot. Yes, among the weeds and crabgrass that had rooted in our plot, we found 10 carrots that had started to grow. What a surprise! After weeding, loosening up the soil again, and adding some fresh top soil, we needed to trust our carefully and detailed plan of what plant goes where. Sure, you may look at our sketch and think: “What detail?” However, there was a lot of research, planning and preparation behind that sketch. Did you know that some plants cannot be next to others? For example, beans and onions don’t really mix. Or that some other plants really like to grow next to other plants. Carrots and onions, on the other hand: peas in a pod. 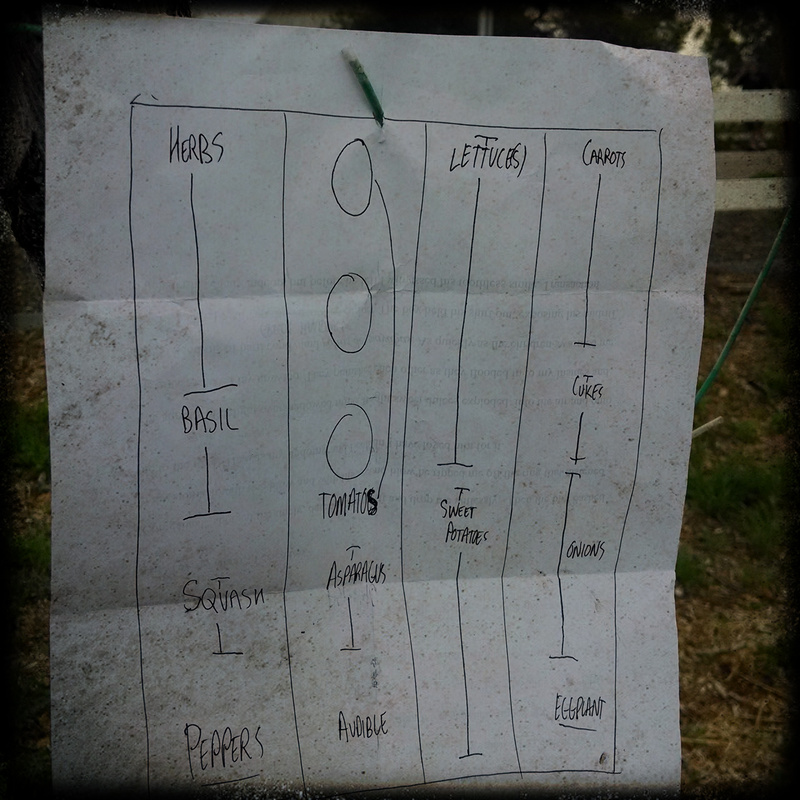 Unfortunately, a lot of the vegetables we mapped out we couldn’t find at Home Depot and had a lot space for audibles. So, let’s see what actually sprouts from that dirt. Maybe it’s cheating, maybe it’s not, but we got some plants that have already started to sprout. Like herbs. 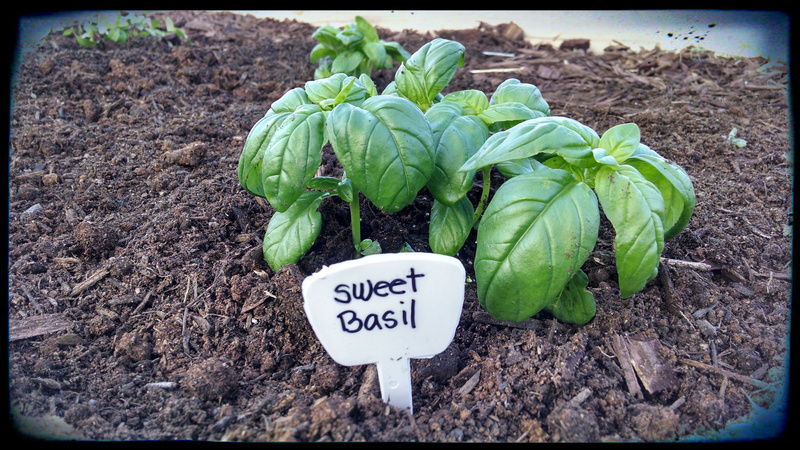 Aromatic beauties that when we placed them in the ground their leaves gave off a refreshing and familiar aroma: basil, lavender, peppermint and spearmint. The sight and smell of them were good for morale. Like we had half a chance of growing something and keeping it alive if it was already partially grown. It is not just the weekends that go fast. It’s the weeks too. The trick now will be to make sure we visit our garden at least once a week. 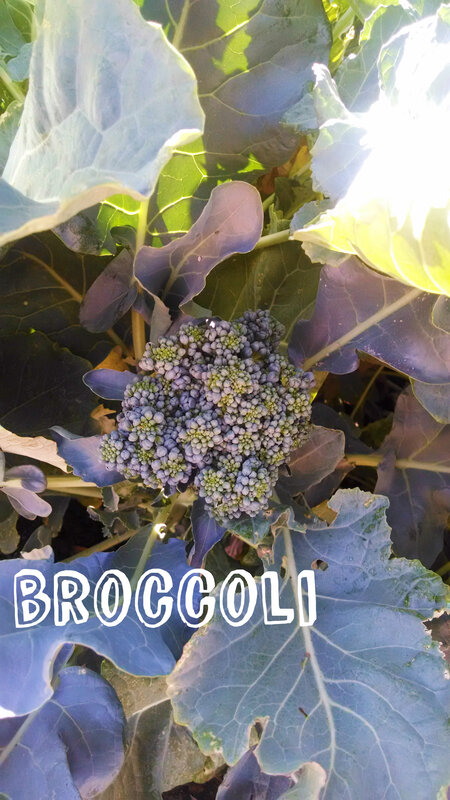 Sooner than we realize it will be time to harvest and the Chef In My Kitchen will make some masterful meal. Oh, I can’t wait! Stay tuned for more misadventures! Haven't done it yet? All your friends are doing it. Go ahead - subscribe. It won't hurt and if WordPress notified me that you did subscribe, I would thank you. Personally. But since it doesn't (or I don't know where to look), I'll assume you have subscribed. So, thank you. Please enter your email address to subscribe to Littlest Martha and receive notifications of new posts via email.